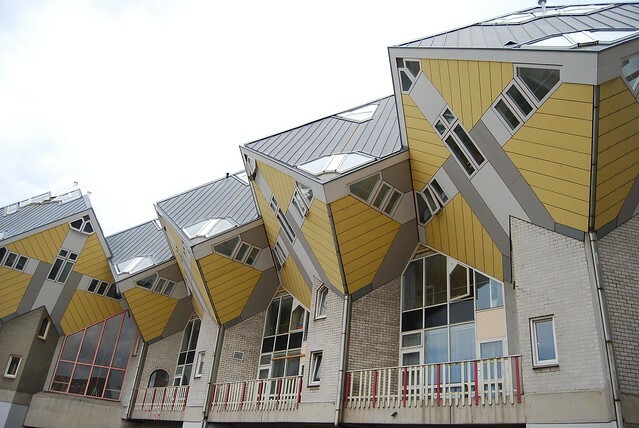 Cubic houses in Rotterdam the Netherlands is a collection of houses that together form a geometric cube. Interesting factor here is how a house maintained so as not to fall. The original idea of ​​these cubic houses emerged in the 1970s. 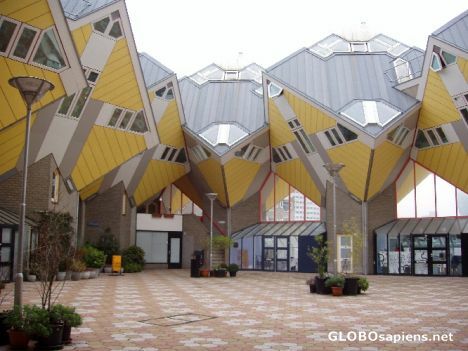 Piet Blom has developed several cubic houses built in Helmond. Rotterdam City asked him to design the housing above the overpass and he decided to use the cubic houses idea. The concept behind these houses is that it tries to create a forest by each cube representing an abstract tree, so the whole village into the forest.